The guns in Aleppo have fallen silent. At some point, the war of bombs and bullets and the interior war of one ideology against another will come to an end and Syrians of all stripes will look to their common heritage to rebuild their society. Aleppo may be the oldest continuously inhabited city in the world. Its ancient Citadel, covered market, and Umayyad mosque are UNESCO World Heritage sites. 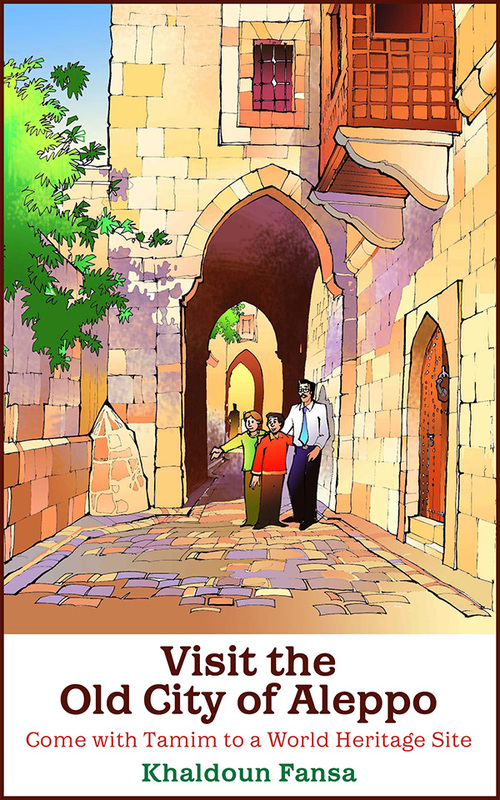 In this "children's book for adults," a long time resident of Aleppo takes a tour of the old quarter and provides historical sketches and photos for those who value what was lost and are eager to see the treasures of Aleppo rebuilt and a vigorous civil society restored. Looking Both Ways is a collection of interlinked essays that explores family, language, politics, identity, and culture, often with a touch of humor. These essays move across time and space, beginning in Egypt and crossing the ocean to follow the author’s travels and the challenges of adapting to American culture and creating a family in her new world. The collection is divided into four sections. “Making Home,” centers on the notion of home, beginning in Egypt in the 1960s and moving toward the U.S. “In Transit,” examines the connection between place and identity. “With Caution,” engages with the idea of danger, highlighting issues related to being Arab in America. “Time Difference,” begins with the 2011 Egyptian Uprising and delves into the blurring of cultural experience between Egypt and the U.S.
From recounting her attempt to retrieve a stolen nativity camel to relaying her sense of cultural indignation when her husband tells her to follow a recipe, these essays use humor to dive deeper into the experience of what it means to live as an Egyptian in the United States. Other essays confront more difficult topics, such as being called “Osama Bin Laden” by some young boys the day after Bin Laden was killed or experiencing the 2011 Egyptian revolution while living in America. Together, these essays create the impression of a memoir as they weave together to reflect the larger narrative of immigration. This book explores culture, identity, and displacement, offering a unique vision into the Arab American immigrant experience. 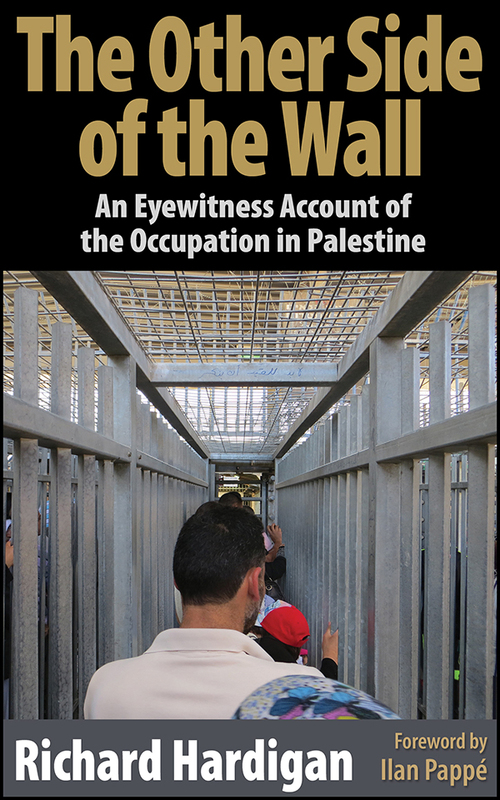 In The Other Side of the Wall the author recounts his experiences in Palestine as a member of a prominent organization of peace activists called the International Solidarity Movement (ISM). This controversial group, which works on the front lines of the conflict in both the West Bank and Gaza, has been accused of supporting Palestinian terrorism, but it has also been nominated for the Nobel Peace Prize. The author witnesses the brutality of the Occupation and the countless forms of humiliations the Palestinians face on a daily basis, such as violence meted out by both soldiers and settlers, long waits at checkpoints, home demolitions, travel restrictions, unfair economic practices, arbitrary detention and arrest, and long prison sentences. The modern Middle East often seems like a web of problems none of which has proven more intractable over the last half century than the Israeli-Arab conflict. One of the core issues is the Israeli claim to ownership of modern-day real estate based on ancient stories that have been enshrined in scripture, promoted by politicians, and buttressed by Hollywood. In Biblical Time Out of Mind, two revisionist thinkers expose what they argue are the tenuous underpinnings of these claims. Was the Exodus of scripture actually a Hebrew exodus. Was the Moses depicted by Charlton Heston actually a Hebrew leader? Or were they echoes of a much earlier exodus of Hyksos, the invasive people to first conquer and reign over Egyptians? 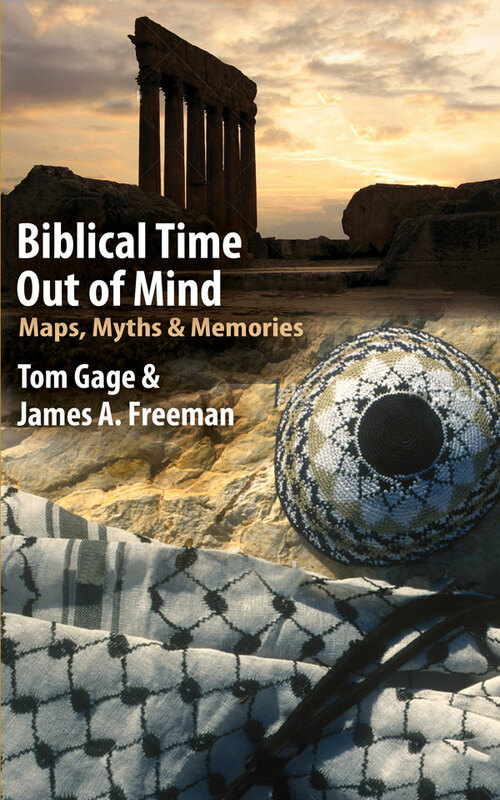 The authors argue that neither Moses nor the Hebrews were in Egypt until around 1000 BCE--500 years after the earlier Exodus is known to have taken place. They go on to sift through research of an Hyksos evacuation of Egypt led by an Eastern leader who is far different than the Moses with whom we are familiar. The American government wants to establish a stripped-down diplomatic post in the Equateur, the remotest part of the strife-torn Congo. No diplomatic protections. Not even diplomatic communication links. Officers assigned to staff it refuse to go. They won't serve in that "hellhole." Enter Fred Hunter, a young US Information Service officer just arrived from training in Belgium. Why not send him? Sink or swim. Let's see if he'll survive. So Fred goes alone into the Equateur, a typewriter his only friend. Quoting liberally from letters written on that typewriter, this memoir recounts the adventures of Fred's year at the edge of the jungle. Three years of war. One hundred-fifty thousand dead. One million refugees. No end in sight. This is the grim reality of the conflict in Syria, one of the great tragedies of the modern era. Yet many people remain confused as to what the fighting is all about. 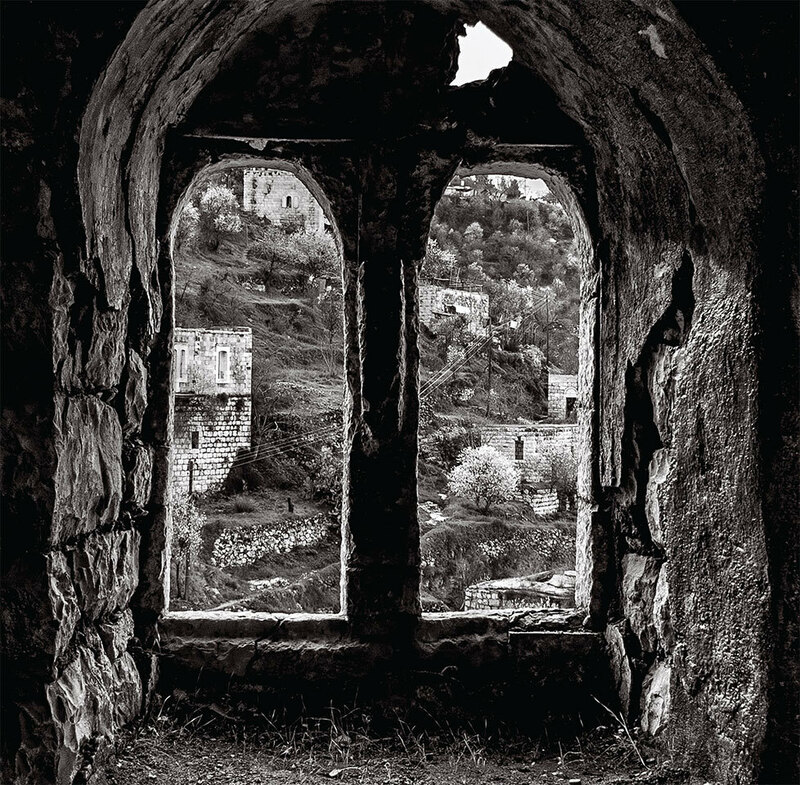 The Plain Of Dead Cities makes sense of this complex scenario, by delving deep into the wells of Syrian history and examining the vital role that Syria has played in human development over the past 5000 years. 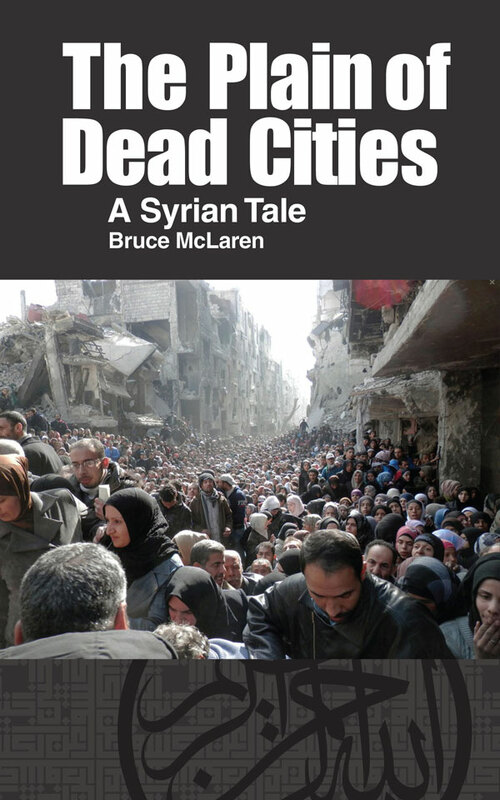 Using a unique approach The Plain Of Dead Cities takes the reader of a virtual tour of Syria. The narrator carries you across the country, through the history books and archaeological sites, revealing the political, religious, social, geographical and historical complexities that have led to the current military conflagration. The Plain Of Dead Cities is as unconventional as the land it describes, part non-fictional memoir and part fiction. The Plain Of Dead Cities is an adventure and a tale, but above all is a tribute to Syria, that most mystical of lands. Learning First in Black and White introduces The Design Code Process ®, an idea-generating system developed by Northwest artist and educator, Fred Griffin. Griffin's approach makes it possible for professional graphic designers and illustrators - as well as students and lay artists - to turn out fresh ideas and great designs on deadline. Fred Hunter arrives in the Congo in 1963, three years after its chaotic independence. He expects heat, jungle, hardship, even violence. Instead he finds the Kivu, a kind of paradise. It lay nestled among Rift Valley lakes. The climate was benign, the beauty extraordinary. It was peaceful, people got along, and an African king lived atop the nearby mountains. Enchanted, his senses alert, he writes about the people and his adventures: the Congolese employee, a womanizing rogue, with whom travels; a Foreign Service family with whom he lodges; an American academic intoxicated by Africa; a lady missionary lost in time; a visit to that African king; mud-trapped, hippos-surrounded, in a deserted game park at nightfall; a Kivu girl with whom he falls in love. The memoir takes you along on these Kivu adventures. It offers glimpses of an Africa that circumstance and conflict keep alive only in memory and memoir. Refugees who have fled famine and violence and resettled in the US too often are isolated, disconnected, living in despair. They typically have housing, food, clothing. Yet they miss the large inter-connected families, the all-embracing social fabric, the living culture in which they were raised. This book tells the unknown story of ordinary Americans who saw a need, created an ingenious solution, worked hard, asked nothing in return­­—and found that their own lives were uplifted. 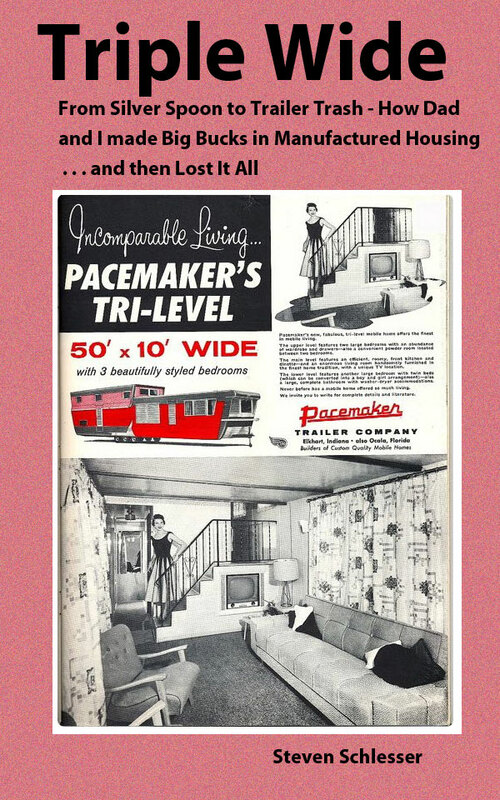 Patricia Martin Holt has written a book about “fabric” . . . the fabric of lives in warm, welcoming communities as well as the complex cross-stitched fabrics that she first encountered in Jordan in 1982. When her husband was posted to Amman Jordan, Patricia met a Renaissance woman named Leila Wahbeh and followed her to the local refugee camps. Here, Patricia found women who were creating textiles with intricate designs­—and restoring themselves and their families in the process. Years later in the Atlanta suburbs, Patricia discovered the Peace of Thread movement, which was founded in 2003 by another Renaissance woman—Denise Smith. Here too, Patricia saw that refugee women working with fabric, selling their creations in posh stores and on Esty, were overcoming their isolation, strengthening their families, making some money, and embuing their lives with purpose. Patricia realized that we can work for world peace without grand gestures, photo ops, or foreign travel. All that is needed is to lend a hand to those in need who live in the same cities and counties where we live. Musa Al-Halool is a native of the Syrian city of Raqqa, located on the Euphrates River in the Syrian desert and a few years ago claimed by the Islamic State as the center of their so-called caliphate. Now, the city is ruined, the Islamic state has fled, and Syrians like our author whose family homes have been destroyed are giving thought to the biting ironies of life as they pursue their careers in exile. Musa Al-Halool developed these stories based on a sense of embitterment toward the Syrian regime. Now, after his country has fallen from the frying pan of an obtuse and rigidly bureaucratic state into the fire of war, suffering, and mass murder . . . he presents them as the response of one still-sane voice in the midst of madness. The collection opens with eight political fables in a chapter titled "Ratstan" . . . or the country of "rats." These fables introduce themes which are picked up and developed in the later stories or simply serve as counterpoint to the longer pieces. Twenty-five paintings by Helen Zughaib accompanied by text based on favorite stories told by her father about life in Syria and Lebanon in the 1930s and during World War II. Helen's father was born in the Old Quarter of Damascus during Ottoman times, when Le Grande Syrie included the lands that are now demarked as Syria and Lebanon. His father and mother, first cousins in an arranged marriage, were from the villages of Zahle and Durer Shweir in the Lebanese mountains, first cousins in an arranged marriage. "Let me tell you a story," Helen Zughaib's father used to say. What followed were absorbing tales of her father's childhood in Damascus, village life in Lebanon in the late 1930s, amusing relatives, happenings the traditions of in their local Greek Orthodox Church, and major events in her father's young life that lead him to emigrate to the United States in 1946. Helen Zughaib is an award-winning artist who has developed a distinctive technique working in gouache and ink. She was born in Beirut and , educated in the Middle East, Paris, and the US. She is currently based in Washington. Zughaib uses folkloric elements and a wide variety of other visual references to express the life and outlook of her family, the village community of her father's young adult life, and her position as an international woman with special insight and empathy for the Middle East and its people. 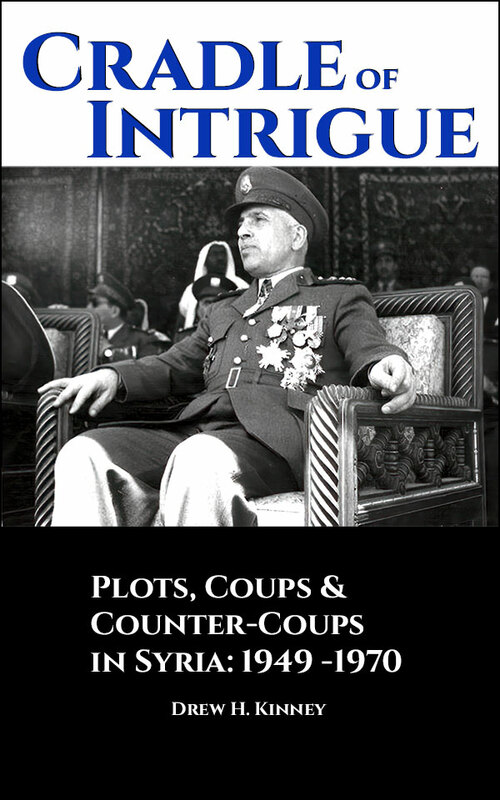 Cradle of Intrigue uses postwar Syria as a focal point to tell the story of how Egypt, Iraq, Turkey, and Jordan made Syria their target of conspiratorial plots as they sought to gain influence over Damascus. The book’s narrative challenges the notion of an omnipresent CIA and MI6, giving agency to local actors’ decisions to unseat governments and guide their own foreign policies. After World War II, decent folk took jobs with big corporations that enabled them to qualify for FHA mortgages. They moved into freshly painted two bedroom houses in the suburbs. What about the other half? Seasonal workers, traveling salesmen, low paid factory staff, mothers without a breadwinner, drunks, druggies, failed criminals, perverts--all kinds of losers, outcasts, and hard luck cases moved into urban slums and into even less expensive and less stable neighborhoods: trailer park encampments at the edge of town. Steven Schlesser and his two sisters grew up in a good neighborhood of Portland, Oregon. As children, they had two loving parents and never worried about money. Brimming with confidence after graduating from college and law school, Steve joined his father's firm. The two created a juggernaut." Fred Hunter arrives in the Congo in 1963, three years after its chaotic independence. He expects heat, jungle, hardship, even violence. Instead he finds the Kivu, a kind of paradise. It lay nestled among Rift Valley lakes. The climate was benign, the beauty extraordinary. It was peaceful, people got along, and an African king lived atop the nearby mountains. Enchanted, his senses alert, he writes about the people and his adventures: the Congolese employee, a womanizing rogue, with whom he travels; a Foreign Service family with whom he lodges; an American academic intoxicated by Africa; a lady missionary lost in time; a visit to that African king; mud-trapped, hippos-surrounded, in a deserted game park at nightfall; a Kivu girl with whom he falls in love. The memoir takes you along on these Kivu adventures. It offers glimpses of an Africa that circumstance and conflict keep alive only in memory and memoir. In recent years, there has been a strong movement in Latin America for governments to regulate working conditions of child labor. On July 2, 2014, Bolivia passed legislation to allow children to work as young as age 10. This action put Bolivia in violation of the UN Conventions regulating child labor and was strongly condemned by human rights advocacy groups. “In Child Labor – Legalize? Or Outlaw?” The author describes the child labor movement in Latin America and points out the challenge that many children have to work illegally to survive. They do not have the luxury of waiting for a “perfect” solution. Although regulations on the working conditions of child labor can protect child workers by law, it is not an effective solution on the ground. A better policy will be to protect the child workers legally while also providing a “collaborative approach.” The author explores this alternative in her book. East of the Grand Ummayad reveals that for a century a pivotal Middle Eastern country was ruled by men with a secret allegiance—to the Fraternity of Freemasons. 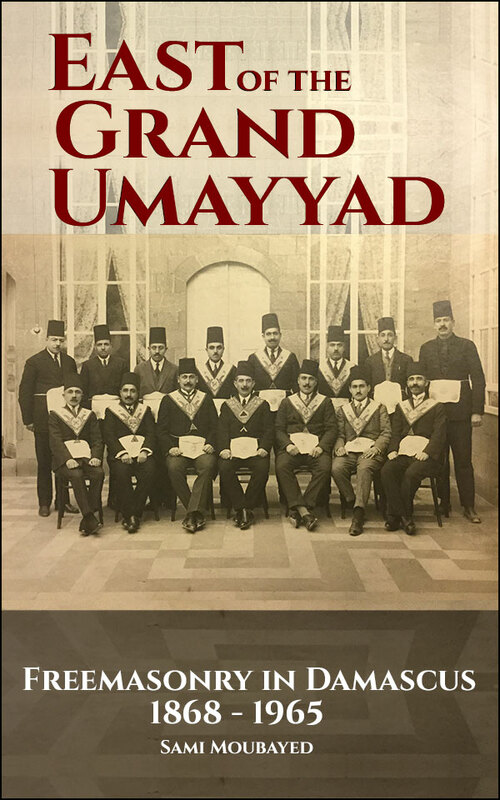 East of the Grand Umayyad is the story of Damascus Freemasonry from 1868 until 1965. It shows how the crème-de-la-crème of Syrian society were Freemasons, men such as Fares al-Khoury and Abdul Rahman Shahbandar (leaders of the anti-colonial movement). This book shows how they contributed to the building of their societies through scholarly work in an academic setting, politics, industry, and philanthropy. The coups of the Independence period come alive when viewed through the lens of Freemasonry, when the power politics that followed the French withdrawal from Syria and Lebanon set Masonic brothers against one another. Ultimately, the proud accomplishments of Damascus Freemasons are besmirched by unfounded Zionist ties and the brotherhood is overtaken by a younger and more powerful secret society—The Rotary Club. 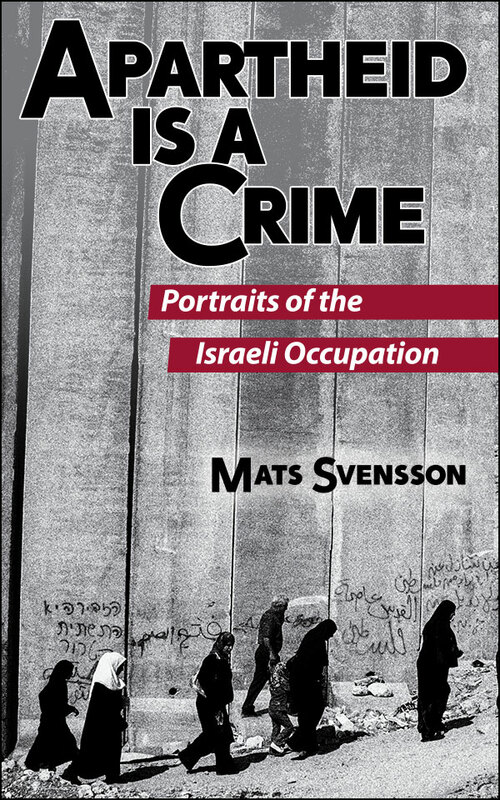 Mats Svensson is a photographer and writer who has lived in the occupied Palestinian territories. The evidence of his lens and the words of the Palestinians he quotes depict a state of apartheid just a few hours’ flight from Paris, London, Oslo, Geneva--and Washington. Will the high minded ideals of the West come to the rescue? Or will a downward spiral that violates all precepts of justice and humanity continue with increasing dark and deadly force? APARTHEID IS A CRIME, Portraits of the Israeli Occupation of Palestine is a remarkable book about an evil that we all believed had disappeared: apartheid. An evil created by a government that believes it stands above international law. Mats Svensson, a Swedish writer and photo artist, has merged his own words with black and white photos, and combined these with voices from around the world. He has created a piece of art that challenges the habitual discourse on Israel and Palestine. It contrasts the created media illusions and distortions of lies surrounding the never-ending conflict. Mats Svensson has created a book that describes how he as a diplomat was part of a system that generated servants that were docile, obedient as sheep. That he worked to build a state under occupation, to revive an already dead peace process by supporting the Palestinian security services, democratic elections and refugees. While he worked, Palestine was disappearing. Before him, Palestine became smaller and smaller. He knew that it was too late, but avoided talking about it. Palestine was disappearing while the number of refugees kept growing. This is a book that tells us all to dig deep into our prejudices; it forces us to take action to search for a common solution. It deals with our own consciousness and gives us a story that we are all part of. In the wake of the 9-11 attacks in 2001, Linda Sartor was dismayed to see her country responding primarily with military action and coercive diplomacy. Rather than isolating and defeating the perpetrators, Linda saw US action punishing the innocents in foreign lands, lending credibility to Al Qaeda's depiction of the US as an imperial state and an enemy of Islam, making enemies, and undercutting decades of effort to win the hearts and minds of people around the world. Linda resolved to do more than complain. For the next decade she engaged in self-styled citizen diplomacy, traveling to six war-torn countries to see for herself, and to do what she could to assist locals in their efforts to attain peace and justice. Linda traveled to Israel/Palestine, Iraq, Sri Lanka, Iran, Afghanistan, and Bahrain. She traveled with several different Peace and Justice organizations. And part of her story is the work of Americans and internationals to highlight injustice and to make some noise about the need for peace. Linda Sartor takes us behind the headlines, and she also isolates the idealism of activists from the US and other countries. She hopes that her stories will inspire readers to confront fear, to follow their hearts, and to place a bet that individual protest will, ultimately, undermine and reform the harsh imperial and economic systems that are too often accepted as a baseline "reality" when the nations of the world exercise power. Refugees from Afghanistan, the Middle East, and Africa find themselves isolated after resettling in the US. Used to village culture, they are adrift. 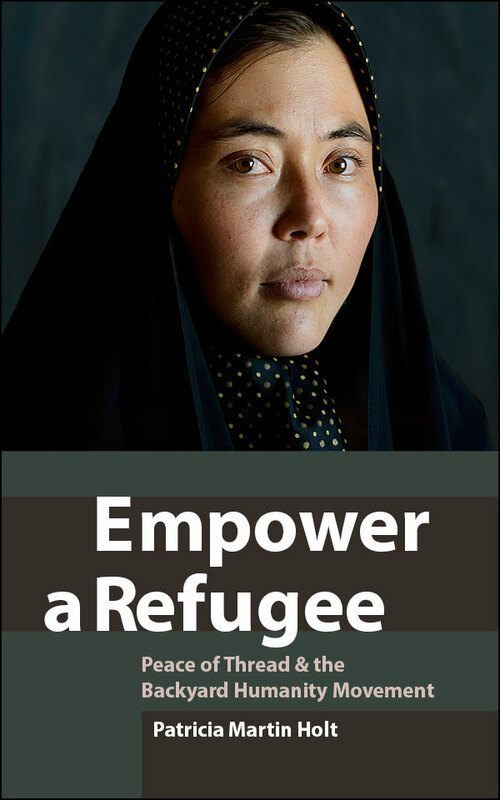 "Empower a Refugee" tells the stories of refugees who participated in the Peace of Thread program near Atlanta, GA. Run by compassionate Christians who have found their calling in helping the dispossessed, Peace of Thread involves refugee women in fabric-related craft work. 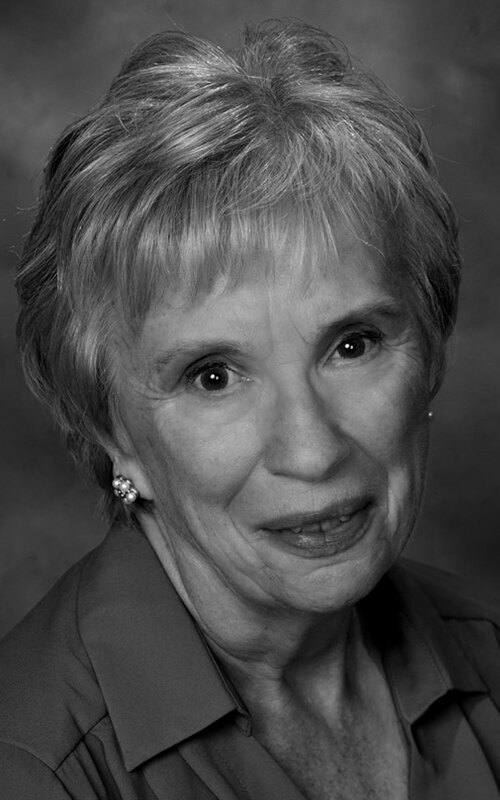 PATRICIA MARTIN HOLT raised three children while working as a law firm administrator and attending night school. Once armed with degrees in business management and communications, she formed her own management consulting company. She left the business world and moved to the Middle East with her second husband, a hydrology consultant, when he took a position in Amman, Jordan. In exploring her new culture, Holt met Leila Wahbeh and saw the difference one purposeful woman made in the lives of thousands of refugees in camps in and around Amman. Her story became the subject of Holt’s first book, Committee of One, for which Holt was named a Georgia Author of the Year and awarded an Independent Publishers Association Bronze Medal. Back in the States, Holt’s sustained interest in refugee lives drew her to Clarkston, Georgia, a hub of refugee resettlement near her home. In Clarkston, she met Denise Smith, a woman whose faith and personal experience of loss compelled her to find a way to help refugee women rebuild their lives. Smith founded Peace of Thread, a handbag company for which refugee women manufacture one-of-a-kind products. Creating Hope tells the story of this remarkable enterprise and of its founder, volunteers, and unique employees. When not writing, Holt is in her fine craft studio, working in clay.